The Silicon Valley Business Journal has a great development map which you can access here. 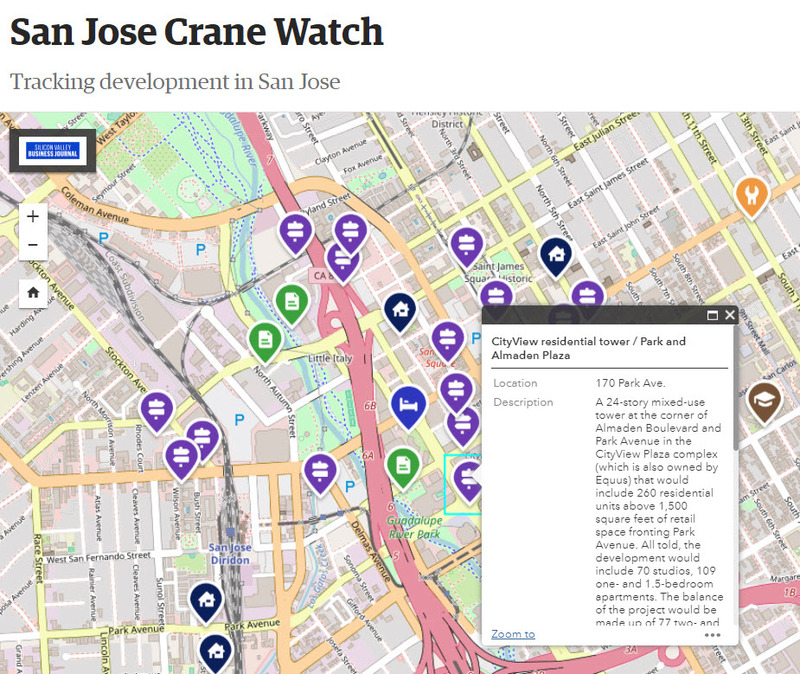 There are now over 97 major development projects, most of which are centered around Downtown San Jose. These include office, residential, hotel, health car, education, retail, and mixed-use projects that were either proposed or are actively under construction. The project has to be at least 100,000 SQFT in size to make it to the map (that means the pipelines has well over 10 million SQFT of projects). Some of the latest additions include a 19-story, 220 room hotel tower on Santa Clara Street and a 500,000 SQFT mixed use project in North San Jose. Learn more and check out the map using the source link below.